Becoming the very best version of you starts with hope. Reach out and make hope happen. At Emerald Psychiatry & TMS Center, we partner with our patients in order to help them work through their mental health challenges. From depression treatment to substance abuse therapy, our experienced and compassionate staff can help. We help patients become the best version of themselves, creating a positive, ripple effect that spreads out to all corners of their life. This is how we make hope happen. 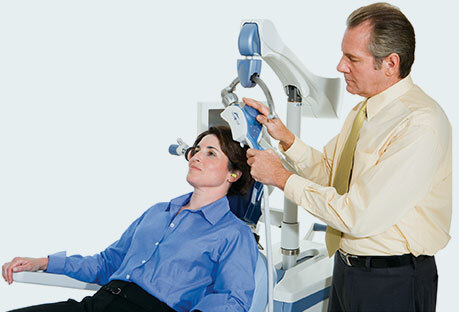 TMS (Transcranial Magnetic Stimulation) is a clinically proven therapy for treatment-resistant depression. Are you struggling with depression or other mental health challenges? Now accepting new patients for medication management! Emerald Psychiatry & TMS Center’s initial focus was to provide Transcranial Magnetic Stimulation (TMS) to our patients who have not been able to adequately treat their depression with more traditional, first-line treatments such as medications and psychotherapy. However, we are pleased to announce that we are now accepting patients for traditional medication psychiatry. Give us a call at 614-580-6917 for more information. Our facility is located in Dublin, Ohio with easy access from Interstate 270, U.S. Route 33 and State Route 161.